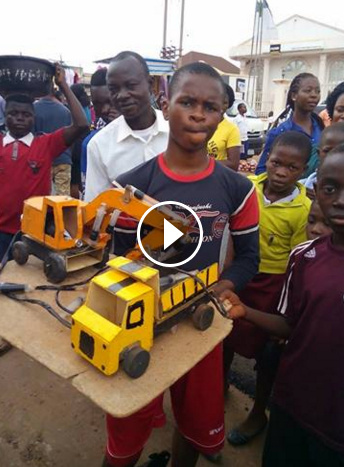 Description: A Nigerian boy built this two magnificent trucks working with the use of battery and guess what, it is working perfectly like a real truck. This is another Ahmed Mohammed of Nigeria lets spread this news as we help to spread Ahmed Mohammed clock news. Please rather than frustrating his effort lets spread this good gospel of his work.